Group Training features CT and other highly qualified coaches to maximize your reps! 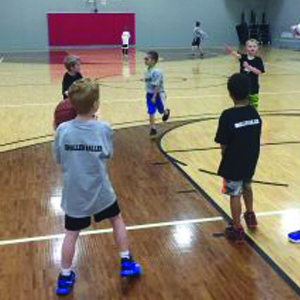 Each group focuses on training the whole athlete, and will start with functional movement (athleticism) before jumping into basketball work (skill development) and neck-up training (basketball IQ). Players will be split up by ability or age and groups are kept small to maximize coaching and player growth! Group sessions will be at PAC Mondays-Thursdays from 4:00-5:00 or 5:00-6:00. Purchasing a package of sessions allows you to come at your convenience until each session is used, as it does carry over from month to month.